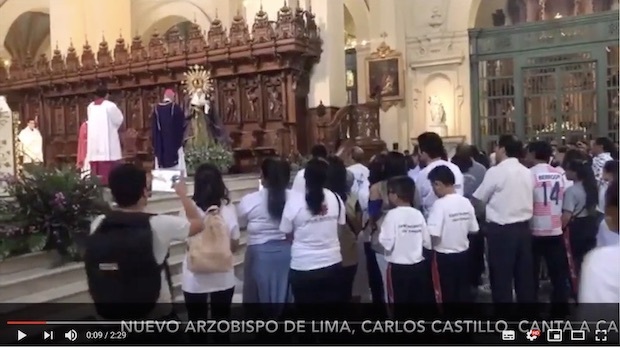 In the Eucharist celebrated last Sunday (10th March), the First Sunday of Lent, the new Archbishop of Lima, Carlos Castillo sang Capella "La oración", the words of which were penned by Esteban Gumucio (with music by Andrés Opazo). Fr. Esteban was a religious of the Sacred Hearts and he is currently subject to the process of beatification. The song was performed in thanksgiving to the Virgin Mary.